S is for Sock Monkey. Dude! how big is that collectible and where does it reside? 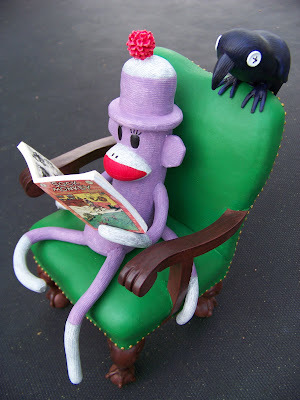 Looks like Sock Monkey is checking out his unauthorized biography! Lies! All lies, says the socky one!